A new short film created by the Air Force to highlight its Survival, Evasion, Resistance and Escape program has received an Emmy Award nomination. The Chesapeake Bay Chapter of the National Academy of Television Arts and Sciences recently issued the nomination for the film, called “The Perfect Edge,” Task and Purpose reports. 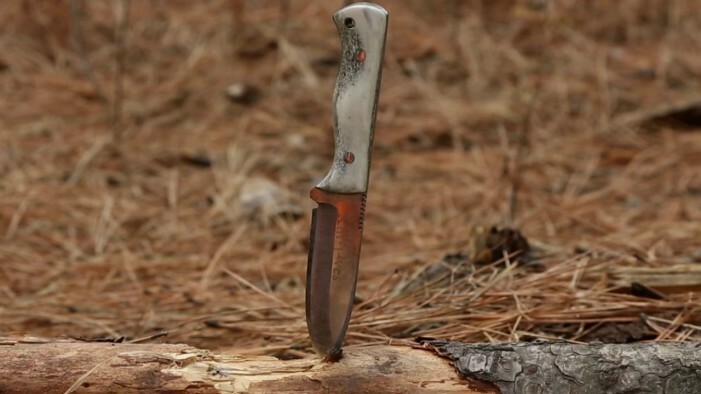 Narrated by Senior Airman Joseph Collett, the two-minute long video shows the process by which a knife is forged, comparing the process to how the Air Force’s survival program forges airmen. SERE teaches airmen how to survive deep in the wilderness and how to handle interrogation through a 19-day course at the Fairchild Air Force Base in eastern Washington state. The goal is to usher students through periods of intense physical and psychological stress while giving them the training they need to be self-sufficient when times get rough. That training includes camouflage techniques, navigation through night and daytime environments and the use of ground-to-air signals, as well as more basic skills like how to start a fire and build a shelter. The skills inculcated through SERE aren’t just theoretical. In 1995, then-Capt. Scott O’Grady evaded capture by Serbian paramilitary troops for six days after his F-16 was shot down. He survived through eating bugs and plants, moving through the night and sleeping during the day. At the end of the six days, he finally made contact with a group of Marines. In his book “Return With Honor,” O’Grady says that SERE training saved his life.